SOFIA, Bulgaria (BulgarianMilitary.com) – “There is no imminent danger of a migratory wave for Bulgaria. If necessary, the army is ready to send up to 3000 troops at the border” announced the Deputy Prime Minister of Public Order and Security, Minister of Defense and Chairman of VMRO-BN Krassimir Karakachanov, learned BulgarianMilitary.com, quoting Novinite.com. 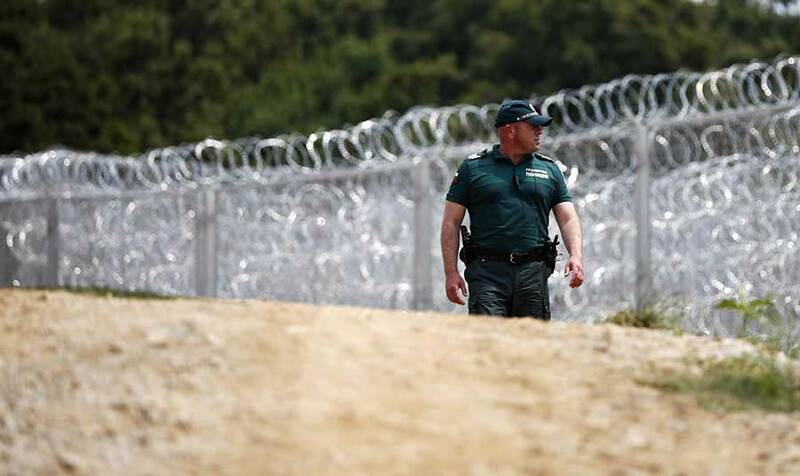 The comment is related to the public concerns that tensions in the Diavata camp in Greece near the Macedonian border will be transferred to native land. “In connection with the increasing comments that there is tension with migrants in Greece, we have been in constant contact with Prime Minister Boyko Borissov and Interior Minister Mladen Marinov for the past four days. There is no room for worry”, says Karakachanov. He also informed that there are routine plans for joint action by the Ministry of Interior and the Ministry of Defense if the tensions in Greece are to escalate and Bulgaria needs to respond preventively or in the event of a crisis situation. “We are following the situation. So far there is no danger for Bulgaria” he said. “However, in order to have an additional guarantee of our country’s national security, tomorrow morning (Editor: today), along with the Chief of General Staff of the Army, General. Botev will report to Prime Minister Boyko Borisov that the Bulgarian Army is willing to send 3000 soldiers with the necessary units of transport equipment and auxiliary equipment to help the police, to deter potential groups of illegal migrants”, wrote the Defence Minister oh his Facebook page.